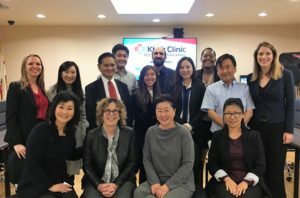 Established in 1986 and serving more than 10,000 patients per year, Kheir (Korean Health Education Information and Research) Center was initially created to serve as a bridge between the low-income, recently immigrated, non-English-speaking Korean community and local health and social service providers. Today, Kheir is a broad-based agency that provides comprehensive healthcare and human services through its Clinics, Adult Day Health Care center, and Enabling Services to underserved and uninsured residents of Southern California. To fulfill its mission of providing linguistically and culturally sensitive, quality primary healthcare in settings familiar to the patients, Kheir is currently participating in several exciting initiatives. From systems integration to quality improvement and health information technology, Kheir is dedicated to developing innovative programs that promote better health outcomes for patients. 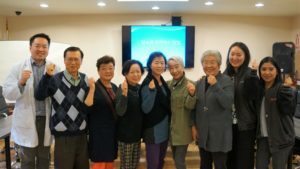 To fulfill needs across diverse cultures, Kheir holds biweekly Korean and Spanish diabetes groups that utilize targeted methods for treating chronic disease in immigrant communities. 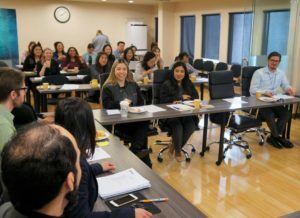 Additionally, Kheir is taking the lead in efforts to strengthen its specialty care network of culturally and linguistically appropriate providers for its Korean-speaking Medi-Cal patient population. In November 2017, Kheir co-hosted a Referral and Credentialing Workshop with Health Care LA, IPA, and MedPOINT Management for local specialists. The session helped staff identify new specialty care providers with the linguistic capacity to treat Kheir’s patients, and also reinforced Kheir’s referral protocols and best practices. 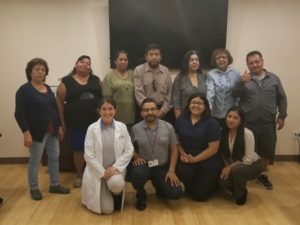 This innovative event successfully expanded Kheir’s referral network, providing patients with more options for high-quality, culturally competent care. Kheir has also focused on quality improvement innovation by maximizing the value of health information technology. The Kheir team utilizes a broad range of reporting functionalities on eClinicalWorks (eCW) electronic health records (EHR) system, identifying at-risk patients and tracking clinical performance measures. Kheir is also in the process of incorporating a new electronic Care Plan module into its practice to promote patient empowerment. Kheir’s robust internal referral system is being streamlined to ensure that patients have access to onsite services, including in-language mental health appointments, dental and optometry, and transportation to and from appointments. In 2018, Kheir will continue to innovate, using both technology and grassroots strategies. Goals include strengthening Patient-Centered Medical Home practices, implementing additional quality improvement projects, launching a new patient texting program, and researching additional ways to maximize the impact of EHR in the clinics. To learn more about Kheir Center, visit www.lakheir.org, or visit their Facebook (www.facebook.com/KheirCenter), Instagram (@KheirCenter), Twitter (@LAKHEIR) and YouTube channel (www.youtube.com/LAKHEIR).